The biggest review into transport in a generation will pave the way for transforming the way people and goods move around our cities, the government has announced today (19 March 2019) in its Future of mobility: urban strategy. The review will explore regulations around new types of vehicles including e-scooters and e-cargo bike trailers, how sharing data can improve services by reducing congestion, and how journey planning and payment can be made more simple. This wide-ranging review will also explore modernising laws from the 1800s that are providing a barrier to innovation. We are at a potentially pivotal moment for the future of transport, with revolutionary technologies creating huge opportunities for cleaner, cheaper, safer and more reliable journeys. Through this strategy the government aims to take advantage of these innovations; connecting more people and bringing big benefits we hope for both the economy and the environment. The automotive industry is responding to perhaps the most significant change since the invention of the car. Mobility as we know it is evolving, improving people’s day-to-day lives with implications for all of society. Today’s strategy offers important guidance on the objectives and principles underpinning the future of mobility in towns and cities, while giving industry scope to invest and innovate, developing exciting new services. We look forward to working closely with government and local authorities to shape the strategy’s implementation, helping to position the UK as a global leader in future mobility. With a long history of transport innovation, a world-class research base and many established technology leaders, the UK is in prime position for a transport revolution. The government’s vision as set out in the ‘Future of mobility: urban strategy’ will ensure that going forward, all businesses within the transport industry create technology that is accessible to everyone, environmentally friendly and economically worthwhile. In doing so, the industry can ensure it harnesses its domestic expertise to profit from a growing market for cleaner, safer and more efficient transport. Technology is going to completely change the way people get around, and we’re pleased the West Midlands is at the forefront of this revolution. The West Midlands is already the beating heart of Britain’s self-driving vehicle testing, competing with Silicon Valley, Germany and China. As the UK’s first ever future mobility area we are already developing these new technologies to help people get around more quickly and easily, and to build the next billion-dollar company like Uber or Tesla right here in Birmingham, Binley or Brierley. 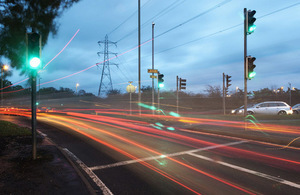 In a further boost for sustainable transport, the government has announced the first winners of the Transforming Cities Fund and awarded £60 million to 10 city regions for schemes supporting low-carbon vehicles, cycling and walking projects, and smart traffic controls. The Transforming Cities Fund aims to invest in public and sustainable transport infrastructure in some of England’s largest city regions, encouraging an increase in journeys made by low carbon modes. The government has also published its response to the Last Mile call for evidence, outlining a range of measures to support cleaner and more sustainable last mile deliveries. These include increasing the uptake of e-cargo bikes and e-vans. In addition, working with the Energy Saving Trust, the government is also now inviting expressions of interest for £2 million of funding to support the uptake of e-cargo bikes.